This is a condition in which a woman experiences severe depression symptoms, irritability and nervousness before menstruation. These symptoms are more severe than those seen with premenstrual syndrome. 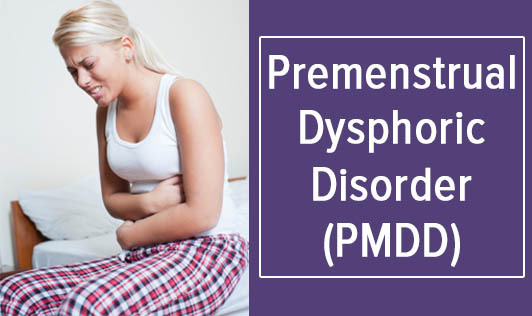 The exact cause of PMDD is unknown but it is believed that it may be a result of the interaction between the hormones produced by the ovaries at different stages of the menstrual cycle and neurotransmitters in the brain. Please contact your doctor if your symptoms do not improve with self treatment and interfere with your daily life!